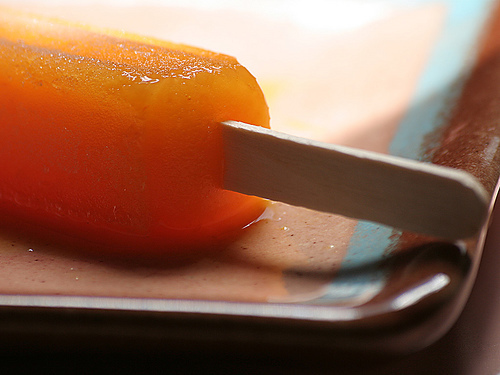 yes, popsicles are great before yoga too! they are great with yogurt, blue agave syrup and mixed berries, blend and pour! yay for summer! I know you don’t have a dog but if you did…I put a dog treat inside a tupperware of water and freeze it. It takes him a good half hour to get the treat out and he stays cool on the deck. mmmmmm doggie popsicles.